Kentucky's New Definition of Bullying... KRS Definition of Bullying: Amend KRS 158.148 to define "bullying"; require a school board's code of acceptable behavior to prohibit bullying; require the code to include procedures for investigating and responding to reports of bullying and a method to protect a person reporting a bullying incident. (b) This definition shall not be interpreted to prohibit civil exchange of opinions or debate or cultural practices protected under the state or federal Constitution where the opinion expressed does not otherwise materially or substantially disrupt the education process. Wheel of Bullying - This interactive question and answer Powerpoint covering bullying prevention has a "Wheel of Fortune" format. As the game is played students are quizzed on types of bullying and cyber-bullying activities. This Powerpoint is good for upper-elementary to high school students. FREE RESOURCE: Operation Respect - Operation Respect is a non-profit organization working to assure each child and youth a respectful, safe and compassionate climate of learning where their academic, social and emotional development can flourish. Founded by Peter Yarrow of the folk group Peter, Paul & Mary, the organization disseminates educational resources that are designed to establish a climate that reduces the emotional and physical cruelty some children inflict up on each other by behaviours such as ridicule, bullying and-in extreme cases-violence. Committee for Children Curriculum - The researched based STEPS TO RESPECT program teaches elementary students to recognize, refuse, and report bullying, be assertive, and build friendships. In fact, a recent study found that the program led to a 31 percent decline in bullying and a 70 percent cut in destructive bystander behavior. This curriculum is one example of an evidence-based curriculum. The Owning Up™ Lessons - Present a unique and comprehensive approach to preventing youth violence by targeting the root causes of bullying and other forms of social cruelty. It exposes the cultural expectations that teach young people to humiliate and dehumanize others as the way to achieve power and respect, then challenges them to transform this dynamic. A CD is included for a nominal fee. Thinkfinity- High Interest Novel for Struggling Readers - 6-90 minute sessions for 9-12 graders. In many of today’s schools, bullying and violence are prevalent. After completing this lesson, students will have a more in-depth understanding of these problems. Using a realistic, high-interest novel (The Bully by Paul Langan) and interactive reading strategies, students discuss many issues that surround bullying and consider what they themselves can do to prevent bullying. Spookley the Square Pumpkin by Pacer is a square pumpkin who lives in a round pumpkin patch world. In The Legend of Spookley the Square Pumpkin, a perennial fall favorite children’s story, Spookley helps you understand that the things that make you different are what make you special. National Bullying Prevention Center – Pacer - Classroom Toolkits - There are activities for younger students, as well as middle and high school. Also, a student created toolkit is listed with videos, music and artwork designed by students for other students to use. This is a great way to create a dialogue with your class. They can be the solution and a superhero as they work together to stop bullying. NEA - Teaching Students to Prevent Bullying – National Education Association – A wide array of lessons, activities, and games to help bring awareness and solutions to the serious problem of bullying. Teaching Kids about Bullying – (National Crime Prevention Council) – Information and lessons that can be used to teach kids about bullying. Anti-Bullying Activities and Lesson Plans - Education World - School violence is an issue in the news and on the minds of educators and administrators alike. Education World offers a list of resources to help stop bullying. Included are lesson plan boosters for teaching anti-bullying as well as numerous other resources. Counselors & Media Specialists Bullying Book Discussion Guide - (Random House Inc) Includes Connections to Common Core State Standards @ RHTeachersLibrarians.com. School Counselor, Laura Barbour has taught and counseled children from preschool through high school and presently works as an elementary professional school counselor at Stafford Primary School in West Linn, Oregon. Conflict Resolution: Activity Ideas – PBS Learning Media - Students in grades 2-5 can use these activities to practice skills in resolving conflicts with bullies and help them think critically about logical resolutions. Teasing is Tough - Get children to talk about how it feels to be teased. Work together to create coping strategies, in this activity from Arthur. Stopbullying.gov - This federal government website is managed by the U.S. Department of Health & Human Services. It includes information on bullying, cyberbullying, prevention of both, and many other useful resources. PACER's Site 4 Teens - (PACER'S National Center for Bully Prevention) This site for middle and high school students includes interactive sections on defining bullying, feelings about bullying, how to respond to bullying and scenarios/ testimonials from students who have been bullied. Search the website by clicking on the headings across the top of page, “Identify”, “Respond”, “Listen” etc., to access useful and up-to-date information about how to approach and prevent bullying. Kids Against Bullying Site - (PACER'S National Center for Bully Prevention) This site has many creative resources to educate elementary students about bullying. It includes an animated cast of characters, information, celebrity videos, Webisodes, interactive games, animation, contests, and other activities. The Foundation for a Better Life creates public service campaigns to communicate positive values. “Locker” - In this motivational commercial a boy is accosted by bullies at school, but pleasantly surprised when he is helped by another student. This models a positive example of reaching out to someone else in need. “Cafeteria” – Girls are sometimes more verbally aggressive and this commercial shows how a new student is mistreated, just because she is new. On a positive note, she is rescued by a student doing the right thing by making a choice to treat her with respect. The Ned Program school-wide character education program centers around a 45 minute assembly called The NED Show. NED is a loveable cartoon character whose name is an acronym for Never give up, Encourage others, and Do your best. Teachers love that NED is simple, relatable and kid-focused. inspirED - born out of a partnership between Facebook and the Yale Center for Emotional Intelligence—is an online community designed by educators, teens, and experts in social and emotional learning (SEL) to help high school students and educators work together to create the best possible learning communities. Olweus Bullying Prevention Program The Olweus Bullying Prevention Program is designed to improve peer relations and make schools safer, more positive places for students to learn and develop. Myths of Bullying Handout - (KCSS 2-Sided Flyer) - Topics on this handout include: “Shattering the Myths of Bullying”, “You Can Help”, “Who’s the Bully… Not My Child!”, and “Why don’t kids ask for help?" Bullying: Suggestions For Educators - (KCSS) Educate the school staff and students on the real definition of bullying. Be consistent when enforcing policies and codes of conduct (after these have been revised and work for your school). Use an existing committee or form a school climate or safety committee to review data and ask guided questions about bullying in your school. Use surveys and the data from these surveys. These and many other suggestions are available on this handout. Conflict vs. Bullying and Telling vs. Tattling - (KCSS) When talking with your students use these handouts. Everyone needs to know the difference in conflict and bullying, and telling and tattling. Review these in classrooms and place on the wall to refer to every now and then. Bullying Prevention Checklist - (KCSS) Jon Akers, Executive Director of KCSS, offers suggestions for principals to consider when establishing bullying/harassment standards within their respective schools. This is not an all-inclusive list…but it is a good start for principals to reflect and act accordingly. KCSS Mean Girl Bullying Handout - Parent Tips Suggestions include: Involve girls in activities outside of school so they are exposed to different types of people, and, encourage relationships with adults and other children who appreciate them for who they are. “Kindness Counts” bookmarks - Everyday, let's enjoy reading and show kindness, helping make our schools a great place to learn and grow. Mean Girls, Beware the Pack is Back!!! - As school begins we need to be aware that "The Pack is Back." Mean girls will be in your halls in full force. In this presentation we will identify "The Mean Girl Pack" and do soul searching to identify who we are and how to become a better person a "Super Hero." Mean girls use relational aggression which is a kind of social torment (bullying) that often exists without parents and teachers even noticing. Bullying 101 Powerpoint from Bullying Symposium - Understanding the Who, When and Why of Bullying, and What we Can do to Stop it. Bullying has long been excused as “part of growing up,” but research increasingly indicates that it is a pervasive problem with severe impacts on student academic performance. Former Assistant Deputy Secretary of Education Kevin Jennings, explains the phenomenon of bullying and outline steps both institutions and individuals can take to reduce the incidence of bullying in their schools. Bullying Prevention Powerpoint: Project Respect - Thousands of students stay home every day because they fear harassment or bullying at school. More than one-third of Kentucky high school students say that they have been bullied. Learn how to combat bullying and create a safer learning environment with a positive message the whole school can rally around: RESPECT! KET Health Three60 Video Program: "When Children Are Cruel" - Bullying has become a serious concern in school districts across the state and in the nation. Host Renee Shaw and guests explore the impact of bullying on students today, the role of bystander intervention, and how schools are implementing anti-bullying programs. Physical bullying involves hurting a person’s body or their possessions. Physical bullying includes such acts as; hitting, kicking, pinching, spitting, tripping, pushing, taking or breaking someone’s possessions. Cyber-bullying is bullying that takes place using electronic technology. Which includes devices and equipment such as cell phones, computers, and tablets as well as communication tools including social media sites, text messages, chat, and websites. Safety Tipline, Online Prevention - (KCSS) S.T.O.P.! Tipline is an "online" reporting/prevention tool. If students, parents or community members know of an unsafe situation in school (bullying, weapons, drugs or alcohol, etc. ), they can anonymously pass on that information to school personnel by using this basic email format. 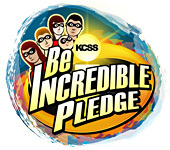 Approximately 60 school districts have partnered with KCSS and are providing this prevention tool to their school community. It is free of charge to schools in Kentucky. Bullying Prevention Checklist: - Jon Akers, Executive Director of KCSS, offer suggestions for principals to consider when establishing bullying/harassment standards within their respective schools. This is not an all-inclusive list…but it is a good start for principals to reflect and act accordingly. 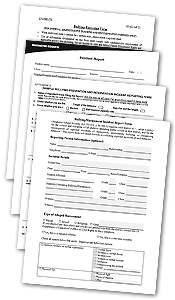 Community Action Plan Materials - The Bullying Prevention Materials are research-based resources that can help you lead bullying prevention efforts in your communities. Bullying can be prevented, especially when the power of a community is brought together. Community-wide strategies can help identify and support children who are bullied, redirect the behavior of children who bully, and change the attitudes of adults and youth who tolerate bullying behaviors in peer groups, schools, and communities. FREE Hotline: What You Can Do to Help End Bullying - (National Suicide Prevention Lifeline) While bullying doesn’t cause suicide, a stressful environment and persistent, emotional victimization can increase a person’s risk of suicide. Together, we can create awareness about the dangers of bullying and give emotional support to those who may be contemplating suicide. If you or someone you know is in an emotional distress or suicidal crisis, please call the Lifeline at 1-800-273-TALK (8255). OnGuardOnline.gov - (The Federal Trade Commission) OnGuardOnline.gov is a partner in the Stop. Think. Connect. campaign, led by the Department of Homeland Security, and part of the National Initiative for Cybersecurity Education, led by the National Institute of Standards and Technology. 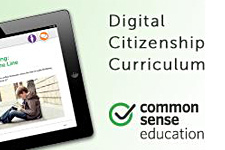 It has many free downloads and videos available for schools and communities. From SAMHSA - Get to Know Bullying, the free app from SAMHSA that can prevent bullying. Research shows that parents and caregivers who spend at least 15 minutes a day talking with their child can build the foundation for a strong relationship and help prevent bullying. Assess Bullying – StopBullying.gov - Assessments—such as surveys—can help schools determine the frequency and locations of bullying behavior. They can also gauge the effectiveness of current prevention and intervention efforts. Knowing what’s going on can help school staff select appropriate prevention and response strategies. Assessments involve asking school or community members—including students—about their experiences and thoughts related to bullying. An assessment is planned, purposeful, and uses research tools. 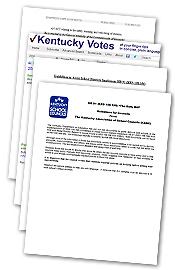 State Educational Agency Model Anti-Bullying Policies… Kentucky’s anti-bullying legislation (KRS 158.156) was codified in 2008 after the passage of House Bill 91. This legislation requires the Kentucky Department of Education to provide guidance to local school districts to assist with the implementation of the law at the local level. Additionally, the legislation requires that “model policies” (bullying, code of conduct, and supervision of students) be provided to school districts. - The U.S. Department of Education released … Analysis of State Bullying Laws and Policies, a new report summarizing current approaches in the 46 states with anti-bullying laws and the 41 states that have created anti-bullying policies as models for schools.